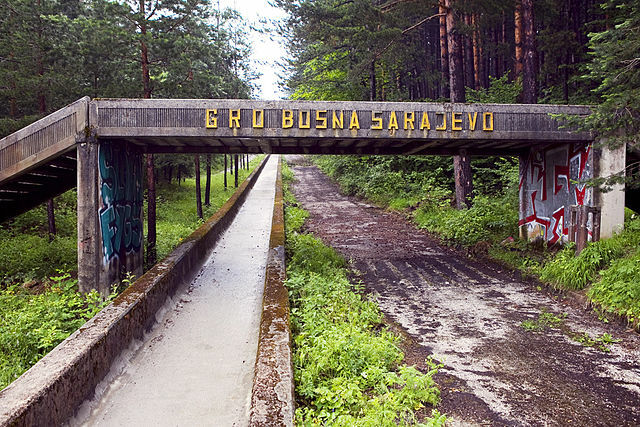 Sarajevo has suffered greatly in the decades since it was the center of the sporting world. 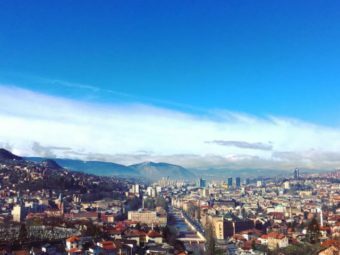 Sarajevo, the capital of Bosnia and the start city of the Great Balkan Ride, hosted the Winter Olympics in 1984. Since then, Yugoslavia, the country of which Sarajevo was once part, has broken up, the city was devastated by the ensuing wars, and Sarajevo’s winter Olympic memories have been left in the distance past. 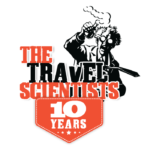 However, venues that once hosted the world’s best winter sport remain, in various states of disrepair. Beating off competition from Sapporo, Japan, and Gothernburg, Sweden, Sarajevo was announced as the host of the 1984 Winter Olympics six years prior to the event. It was the first winter Olympics hosted in a socialist country; the traditional torch relay toured the entirety of Yugoslavia. “Vučko”, the little wolf, was chosen as the official mascot, while event locations were scattered both in Sarajevo itself and nearby mountains. The 1984 Winter Olympics were a great success, but less than a decade later Sarajevo was in the midst of the longest siege of a capital city in the history of modern warfare, which lasted from April 1992 to February 1996. Many of the Olympic venues came under fire: Zetra Olympic Hall, which hosted skating events, was partially destroyed, with one remaining section used as a temporary morgue. Remarkably, seats built for spectators were taken apart, and their wood was used for coffins. 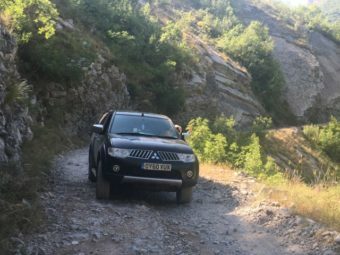 Meanwhile, various mountains where outdoor events had taken place became important fronts in the Bosnian War. 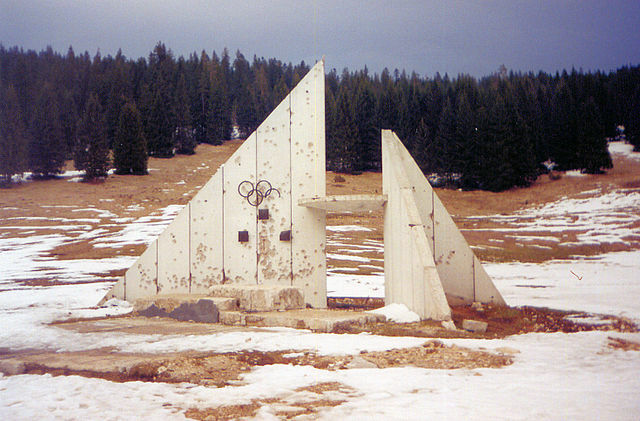 While the war is long over, the relics of the 1984 winter Olympics were remain in various states of disrepair. 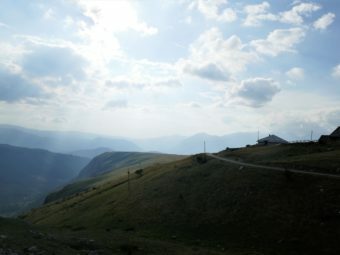 The Zetra Olympic Hall was rebuilt, and some mountain venues quickly reopened, but much mountainside was littered with landmines, and many sections are still inaccessible today. 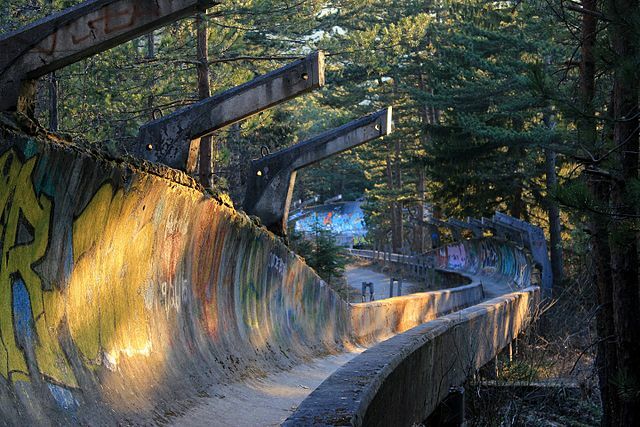 The bobsleigh track, on Mount Trebević, was for decades left abandoned. 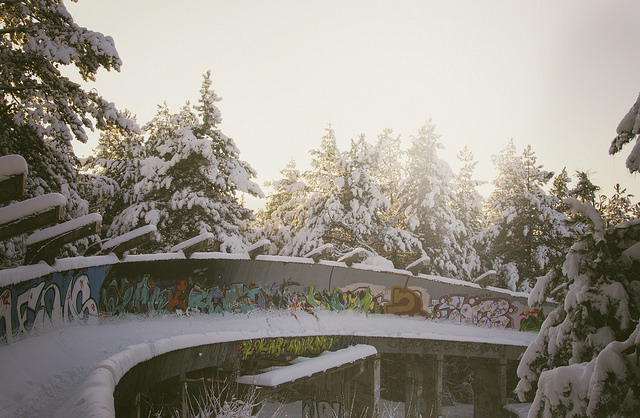 Covered with graffiti, it became a symbol of Sarajevo’s tragedy. Only now, more than 30 years later, is the once excellent track mostly fixed, and there are plans to host events there in future. While for now it attracts tourists for its melancholic beauty, perhaps in years to come it will once again attract elite sportspeople from around the world.